Winged Cavalry is the first ever documentary on the Polish Winged Hussars – Europe’s most effective and visually striking military unit for almost three centuries. While still ingrained in the consciousness of all Poles, the Hussars and their deeds are largely unknown outside of their fatherland. The documentary delves into their rich history and follows several contemporary Hussar enthusiasts, reenactors and historians from all over the world. Winged Cavalry is set to premiere in 2019. It is a chivalry that has no equal in the world; without seeing it with your own eyes, its vigour and splendour is impossible to imagine. Brave, honorable, arrogant – deadly. 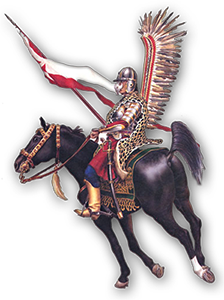 The Winged Hussars were the elite Polish cavalry unit, fighting all over the battlefields of Baroque Europe, from 16th through the 18th centuries. The Hussars were direct descendants of medieval knights and were well versed in the art of war. Their tactics, weaponry, incredibly high morale, love of their fatherland and stunning appearance, all contributed to their spectacular successes in countless wars and battles. The Winged Hussars’ legacy inspired friends and foes alike, influencing nations the world over. In the United States, the Polish count and Continental Army General, Casimir Pulaski (named the father of US cavalry), trained George Washington’s troops in methods that were derived from those of the Winged Hussars. In today’s Poland, the image of the Winged Hussar is still revered as a symbol of strength, honor, prestige and bravery. The most spectacular and mythical feature of the Hussars were their iconic wings. Many historians argued that they served purely a ceremonial purpose and were worn only during parades – not until recently was it conclusively proven that they were also in fact worn in battle. Throughout the existence of the Hussars, the wings went through many variations and evolved over time into their most recognizable shape. The wings gave the riders the appearance of giant birds of prey – combined with predator skins the Hussars draped their armor with, they instilled a very primal fear into the hearts of the enemy and enemy horse alike. The Winged Hussars descended upon their foes like avenging angels, charging with the fury of wild animals, sowing panic and discord amongst enemy ranks by their appearance alone. The Hussars were one of the most flexible and best armed military units of their time. Their primary offensive weapon were ~20 foot long lances, which were longer than their West European equivalents and much longer than the common infantry pike. Once a lance was shattered and the enemy formation broken, a Hussar was able to continue his assault with an assortment of weapons that were secured to his saddle: a long thrusting sword (koncerz), a backsword (palasz), a sabre (szabla), a warhammer (nadziak), two wheellock pistols and at times even a bow. 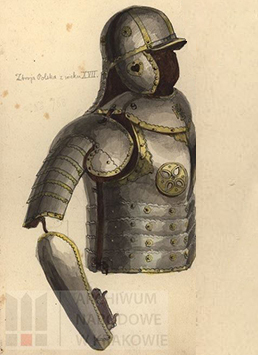 Hussar armor was light but incredibly effective – the breastplate was impervious to both musket and pistol fire and there are records of it being able to sometimes effectively stop cannon shot. Combined with steel szyszak helmets, gorgets, vambraces and chainmail, the Winged Hussars, galloping atop their powerful Arabian-bred horses (the most expensive part of a Hussar’s implements), were nearly unstoppable. 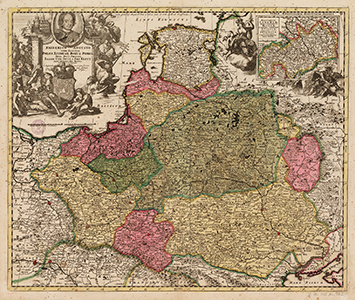 The Polish-Lithuanian Commonwealth of the 15-18th centuries, was the largest kingdom in all of Europe, spanning nearly 382,241 square miles (one and a half the size of Texas). Unprecedented for its time, it was a culturally and ethnically diverse land (50% of its population were immigrants), where every religion was tolerated (Christianity, Protestantism, Judaism, Orthodoxy, Islam, etc.) and where its king was elected in a democratic fashion. The Commonwealth’s territory, stretching from the Baltic in the north all the way to the Black Sea in the south, consisted mostly of a vast plain – perfect terrain for invading armies. The kingdom existed in an almost perpetual state of war, fighting against Russians, Swedes, Ottomans, Austrians, Prussians, Cossacks, Tartars, Moldavians, Wallachians, Transylvanians, Danes, et.al. Due to the Commonwealth’s immense size, the Pole-Lithuanians relied mostly on cavalry to rapidly traverse its lands and face their enemies. 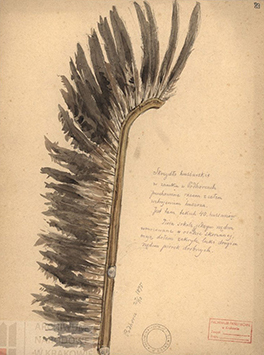 The elite Winged Hussars soon became the backbone of their fatherland’s defense. The Winged Hussars were one of the most successful cavalry units in history, despite perpetually facing a numerically superior enemy. Note: “Poles” denotes Pole-Lithuanians and at times includes their Allies. If you are interested in knowing more about Winged Cavalry or would like to contribute in some way, feel free to contact us! Polish-born, New York and Los Angeles based photographer, cinematographer and graphic artist. His family has a deep Polish cavalry connection, having had ancestors that led Hussar retainers in the 16th and 17th centuries under Czarniecki, led 18th century banners under Kosciuszko, all the way to the 20th century with his uhlan-cavalry grandfather that fought in World War 2. Luke’s family legacy combined with his lifelong passion for all things history, ignited a desire within Luke to share the story of the Winged Hussars with the world. In 2006 Luke co-founded New York City’s ACEFEST Film Festival, which in 2010 was named one of the Top 25 Film Festivals in the world, by Moviemaker Magazine. 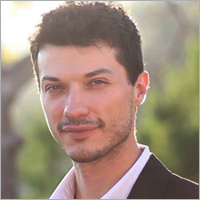 Luke has since worked on a variety of visual projects for clients such as the US Marine Corps, Sony, Universal, GSN, et.al. and is currently a member of the Polish American Film Society and the Board of Directors of the Polish Film Festival in Los Angeles, CA. Polish historian, journalist, reenactor and the foremost Winged Hussar expert. Dr. “Radek” was the first person in the world to write a doctoral dissertation fully devoted to the subject of the Hussars and has went on to write dozens of articles and books on their rich history, battles, tactics, armament and legacy. 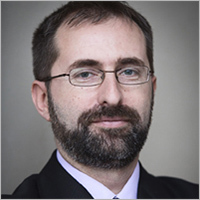 Some of his published work includes: “The Phenomenon of the Hussars” (Torun 2003), “Polish Military in the Era of the Polish-Swedish War 1626-1629”, “Klushino 1610” (Warsaw 2010), “From the Annals of the Hussars” (Warsaw 2010), “Extraordinary Battles and Charges of the Hussars” (Warsaw 2011), “The Hussars of Vienna 1683” (Warsaw 2012), “Hussars of the Polish Republic” (Warsaw 2014). 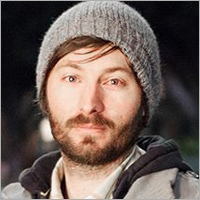 Art Director Andy has crafted identities and worked on marketing campaigns for some of the biggest Hollywood movies to be released in the past few years, in addition to being a part of development teams for some of the most widely watched docu­reality series on American television. Andrew is also an avid follower of historical warfare. He traveled to Poland in 2008, which sparked his interest in the cultural and historical heritage of the region. Andrew has recently worked on campaigns for feature films such as Iron Man 3, Thor 2: The Dark World, Guardians of the Galaxy and Mad Max: Fury Road. He’s also created graphics for dozens of TV shows including work that has aired on the Discovery Channel, MTV, Spike TV, et.al.